This partnership has again been successful and was awarded NISBLF II in June 2018. This successor fund can now lend up to £100k to existing businesses and up to £15k for start-ups. 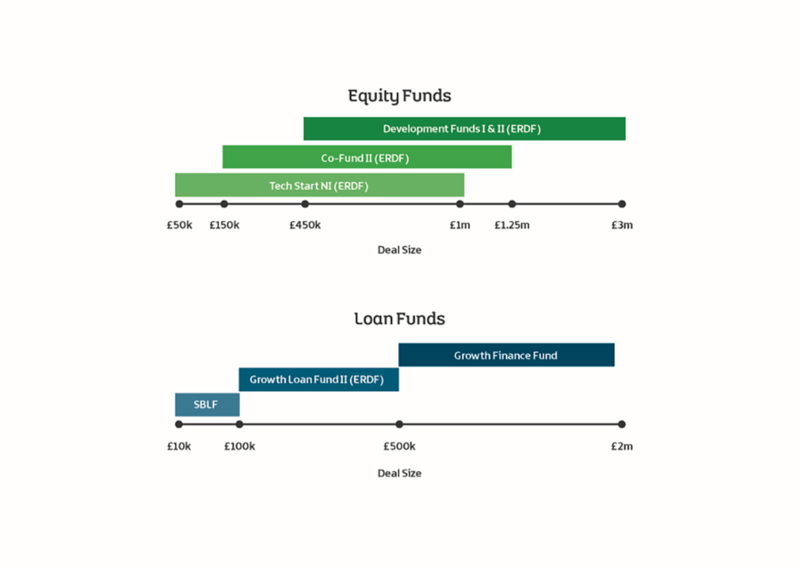 Funding can be provided for a range of purposes including Working Capital, Asset Purchases, Growth Finance, Start-Up Costs, Match Funding etc. Ulster Community Investment Trust (UCIT) is a Charity which provides loans exclusively to other third sector organisations such as community groups, charities, sports clubs and social enterprises in Northern Ireland. Since 2001 we’ve committed in excess of £80 million to over 380 organisations in Northern Ireland and the Republic of Ireland. During 2012 UCIT’s Fund Management company, UCI plc achieved Financial Conduct Authority accreditation and the organisation was awarded the management of the £5 million NI Small Business Loan Fund as part of Invest NI’s “Access to Finance” strategy. UCIT are a registered charity with all profits generated being retained and recycled for reinvestment into the third sector. Since we were established in 2000 to represent the 28 Local Enterprise Agencies, Enterprise Northern Ireland have worked with thousands of entrepreneurs, helping them set up their business in Northern Ireland, and enabling them to grow and develop. ENI currently delivers a suite of programmes assisting clients at a number of levels, pre-start (non trading or ideas generation), start-up (ready to start and early stage) and for growing companies. These programmes are supported by the financing options for start-ups trading less than two years (Start-Up Loans) and the NI Small Business Loan Fund. Along with the delivery of business support services and finance, the LEA network in their business parks provide a cost effective solution for the incubation and growth of many business making them essentially a one stop shop for SME’s.